And my sound is the song of pure joy. Who listens to my sound – is rejoicing. 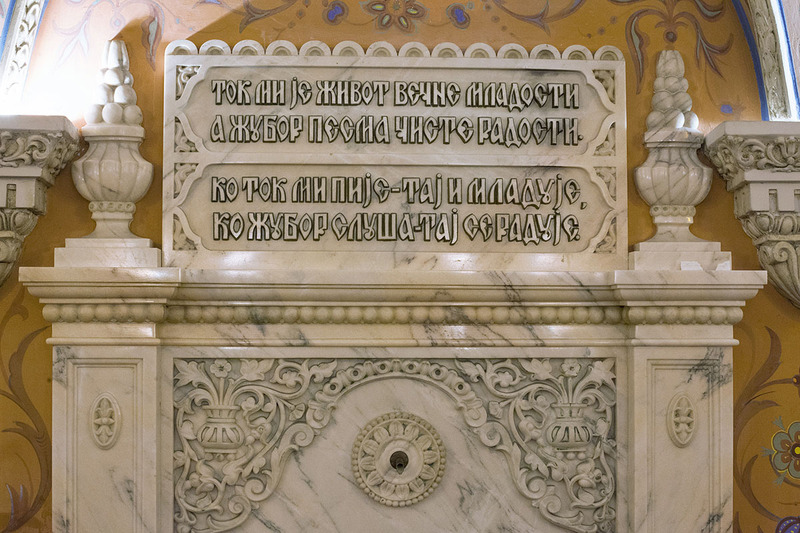 The verses of an unknown author on the fountain of the Royal Palace celebrate life and eternal youth and point to it as the source of joy of life and eternal youth. The hypnotizing sounds produced by the water from this fountain, descending down a small watercourse, were to cause feelings that indicate the ideal place for meditation. 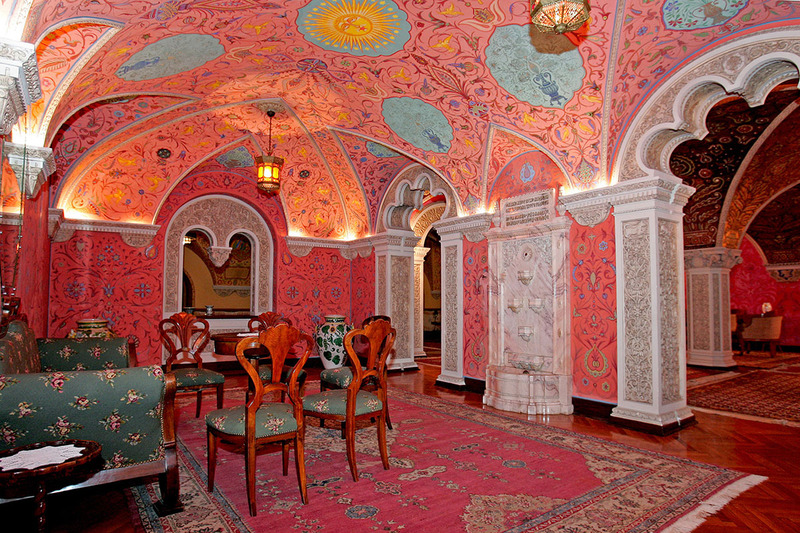 It is well-known that the decoration of the European representative royal palaces usually also included oriental-style spaces. Taking over these models of decorating the Royal Palace in Dedinje indicates some established decoration rules for the palace, while at the same time points to the need for emphasizing power. 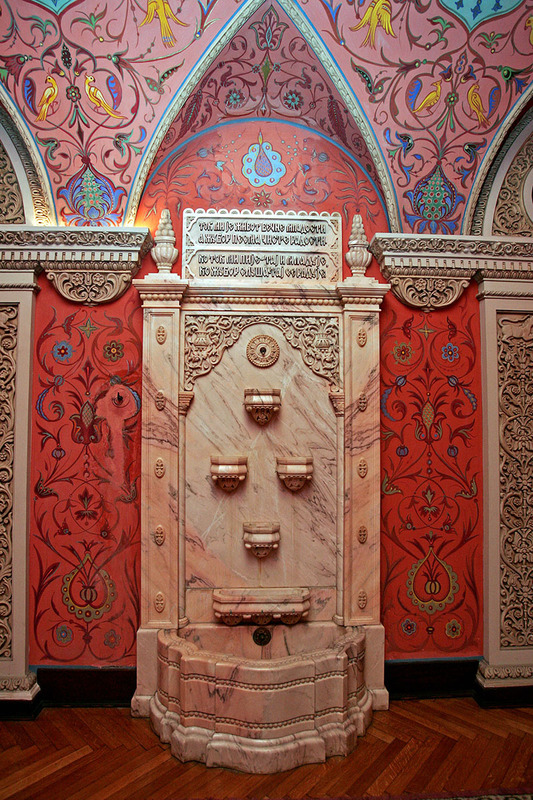 The fountain and the Oriental Salon of the Royal Palace were designed in this sense. 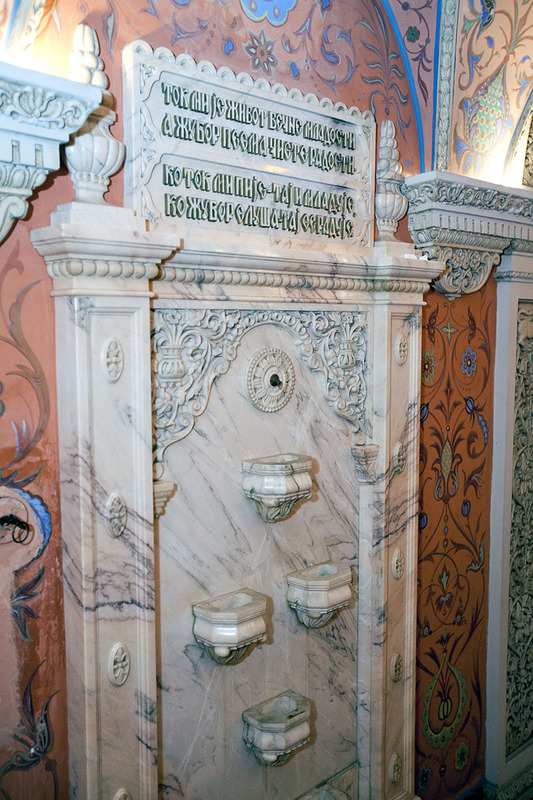 Unlike the Bakhchysarai Salsabile, the fountain in the Royal Palace in Dedinje was in the function of privileged privacy accessible only to the king and the circle of his associates. One of the most important architects who, with his work in architecture and applied art, left a significant mark on the look of Belgrade and other cities of Serbia. He was one of the most prominent representatives of academic historiography in the interior architecture of our region. His status and creativity in Russia was a recommendation for his engagement in Serbia. As an emigrant after the October Revolution, he came to Belgrade in 1922 and quickly joined the Architectural Department of the Ministry of Construction of the Kingdom of the Serbs, Croats and Slovenes as head of the monumental buildings and monuments department and construction inspector. Soon he became a respected state and court architect. In the period from 1923 to 1939 he worked in many state institutions. His work on the construction and decoration of the Royal Compound, primarily the Royal Palace and that was very extensive. Krasnov transferred his experience in Russia to the Royal Compound. For many achievements, including the Bakhchysarai fountain, he found inspiration in his homeland. Acting as the chief architect of the Bakhchysarai Han restoration, Krasnov was well-versed in the history, architecture and artistic heritage of Bakhchysarai, whose motives inspired the decoration of the Serbian Royal Palace basement.